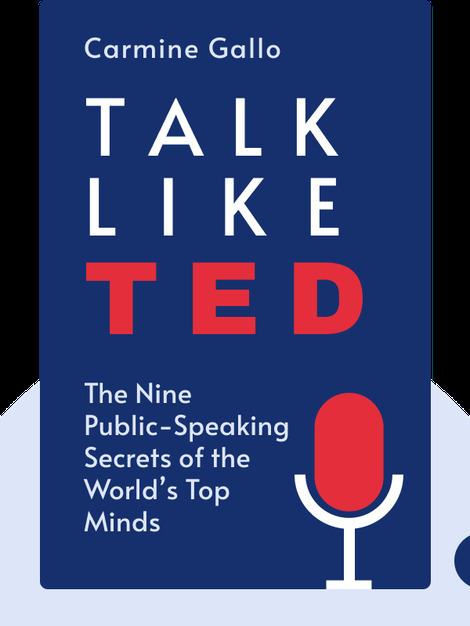 In Talk like TED (2014), you’ll learn about presentation strategies used by the world’s most influential public speakers. 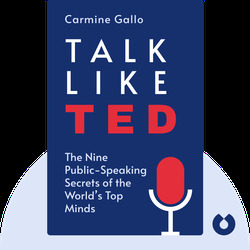 Author Carmine Gallo analyzed more than 500 TED talks to identify common features that make these talks so influential and appealing. Carmine Gallo is a former anchor and correspondent for CNN and CBS as well as the author of a number of books, including The Presentation Secrets of Steve Jobs (also available in blinks). He has worked as a business executive coach for for companies such as Coca-Cola and Intel, and is often a keynote speaker at major conferences.